Product Content Landing - Cennos, Inc.
Why Should You Enrich Your Product Content? It's simple data entry: you’ve got the product specs from the manufacturer, now all you have to do is use the product name and link to the specs on the product page in your store, right? 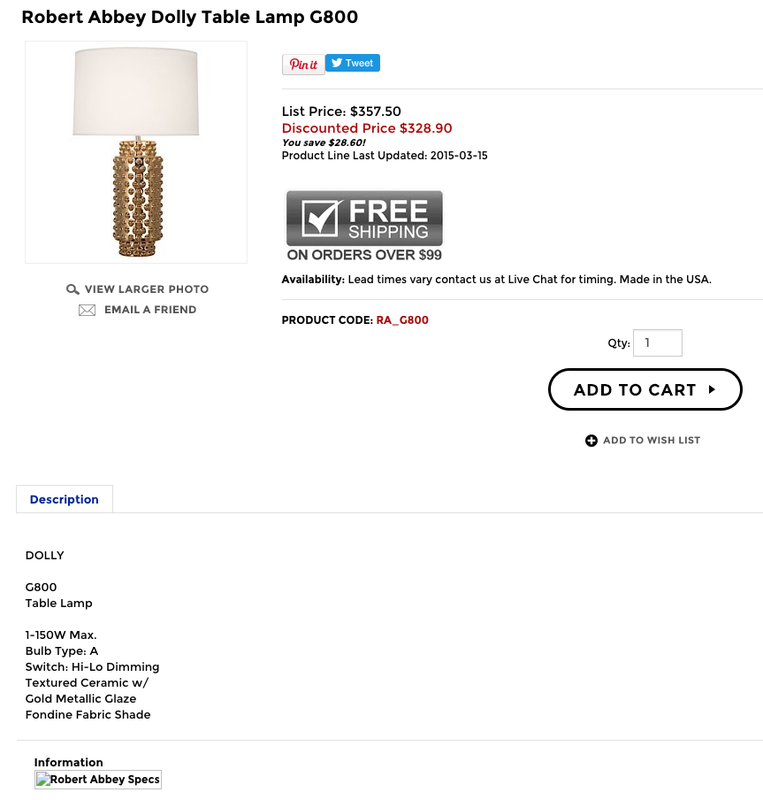 Unless you search specifically for "Robert Abbey Dolly Table Lamp" you're probably not going to find this particular retailer's offering. The link to the specs is broken, so there's no way for the consumer to know the size of the lamp. 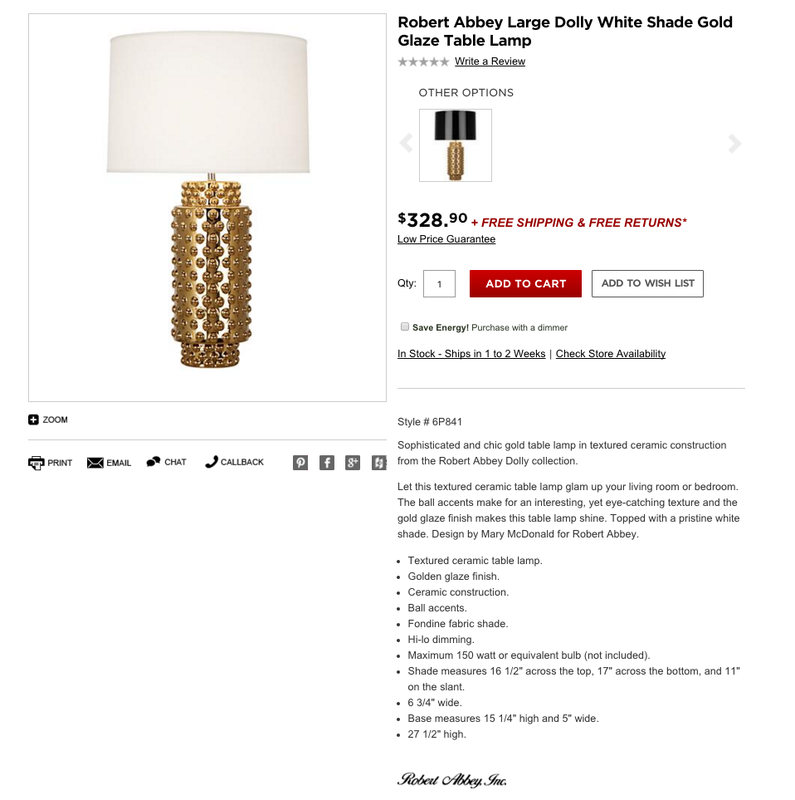 The headline on this listing considers how consumers search for products: anyone searching for a gold table lamp should be able to find it. The exact dimensions and an alternate shade are plain to see, and the romance copy sets the scene in the mind's eye. All the information presented makes it easy for the consumer to become a customer. ​Let us create a sample for your business and see how you can optimize your product content to drive discovery and sales: call us at +1.650.575.8328 (7am-5pm Pacific) or let us know a good time to contact you using the form below.